MADISON BIKE BLOG: Do We Need to Focus On Driver Behavior and Not Cyclists? Do We Need to Focus On Driver Behavior and Not Cyclists? Here is an interesting article titled, "Don't make bicyclist more visible. Make Drivers stop hitting them." In short, the article argues common sense used to prevail and large motor vehicles used to be required to watch for vulnerable user of roads, now however, proposed laws like California's mandatory helmet law shift the burden of crashes to the victims and allow victim blaming. 1. The auto industry invented "jaywalkers" to rob people of their right of way. 2. News articles allow "oopsies" for drivers. Example, a driver seriously injures or kills a cyclist but the article mentions the bicyclist didn't have a helmet (even though it is not required and the cyclist was not at fault). 3. The auto industry, insurance industry, and municipalities have a financial interest in passing mandatory helmet laws. This is because it shifts the responsibility onto cyclists and absolves governments from having to build better infrastructure and drivers from having to obey traffic laws. Not surprisingly, the same tired comments are pasted at the bottom of the article including that bicyclists don't pay taxes for the roads and, "How about all the bicyclists start following the traffic laws and get moving violations just like drivers do." Also, the familiar, "Bikers don't have the right to make drivers go out of their way to accommodate them. When they can ride at the speed limit they will be welcome." Also, "I say that drivers be granted amnesty to mull over any rider that was violating the law/rules of the road (in the drivers reasonable discretion). The threat alone should force bikers to correct their behavior." It used to surprise me that adult human beings with the ability to read and type would make a comment such that it is o.k. that a bicyclist does nothing wrong and gets killed as punishment for some other unknown bicyclist. I have now seen this comment enough and experienced enough people with extreme mental problems behind the wheel that I now believe these people actually think it is o.k. 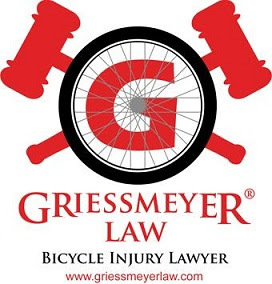 if a person riding a bicycle gets paralyzed or killed because some other bicyclist (unknown to the decedent) rolled a stop sign or violated a traffic law at some unknown location, place, and time. Kind of like saying I don't feel bad anytime I hear that any priest in the whole world is murdered for any reason because there have been priests that have violated the law. Until all priests in this world stop violating the law, it is o.k. for people to take a priests life even if that specific priest never violated the law.